We've got a guest blogger here at depthsploitation. Paul Corupe operates the website canuxploitation and is a fellow fan of the film. He has written a number of articles about The Mask and is something of an expert on the film. I'm very honored to welcome him as a contributor to this blog. In the history of Canadian film--especially Canadian genre film--Julian Roffman's surreal spook show THE MASK holds a vitally important and esteemed place. Aimed squarely at the American market, THE MASK was the first of its kind in many ways--it became the first Canadian film to be distributed by a major Hollywood studio, the first 3-D film made here and, arguably, Canada's first feature horror film. But what doesn't get mentioned often is the film's entirely unique score, a sometimes chilling mix of straight orchestration and "musique concrète" by prolific composer Louis Applebaum and American-born electronic music pioneer Myron Schaeffer. The staff composer at the National Film Board of Canada (NFB), Applebaum may not be as recognizable today as he once was, but he remains one of the true legends of Canadian music. Applebaum produced some 250 scores for the NFB between 1942 and 1960 before he left to compose pieces for the Stratford Festival and, later, work on arts advocacy boards. 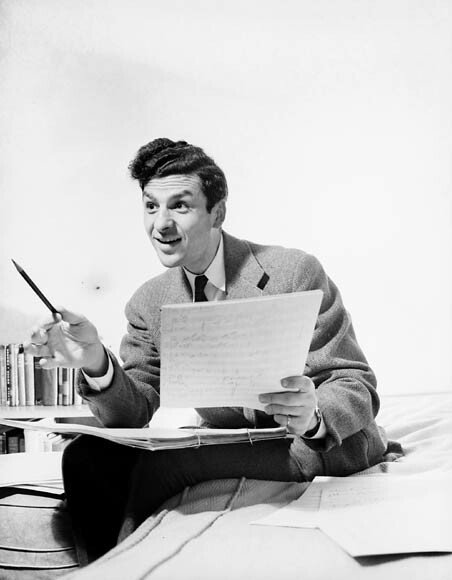 An extremely versatile composer, Applebaum was comfortable with a range of styles, from full symphonic works to choral pieces and even modern classical and jazz, and even garnered an Academy Award nomination for his music for THE STORY OF G.I. JOE (1945). Collaborating with Schaeffer, a serious avant-garde musician who had recently become the director of the University of Toronto's newly established Electronic Music Studio, the pair created one of the eeriest scores of any Canadian horror film--a swirling, sometimes violent collage of electronically manipulated sounds that draws the terror out of THE MASK's insistently hallucinogenic imagery. Applebaum almost certainly met Roffman at the NFB, where the young director cut his filmmaking teeth shooting military training documentaries. Roffman subsequently left the NFB in the late 1950s to pursue independent feature production, with the hope that he could make a film that would be picked up by a major U.S. studio--a goal that many felt would help kick start the national film industry. For his debut feature, 1959's THE BLOODY BROOD, Roffman decided to bring in Applebaum to write the wild, bongo-laced jazz score that plays as degenerate beatniks get their kicks as they kill an innocent delivery boy. But when Hollywood didn't come calling, Roffman started an even more commercial feature to be shot using the 3-D process--THE MASK. Applebaum, who had just left the NFB himself, was on board again and likely convinced Roffman and producer Nat Taylor to give Schaeffer a chance. 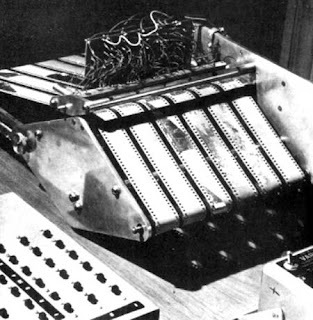 At the time, Schaeffer had just helped develop the Hamograph, a new electronic music "instrument" that, along with some additional equipment, pulled sounds from up to 12 tape loop inputs and then allowed the composer to shift tone and pitch and add echo. As with Roffman's direction, Applebaum and Schaeffer take significantly different approaches to depicting the "real" world and the mask's inner world of the psyche. In the scenes set in psychiatrist Dr. Barnes' office, Applebaum's small but capable orchestra provides the incidental music, often employing a minimalist approach as solo woodwinds brass and thundering drums taking turns pulling out of the pack to weave creepy solo themes that sometimes build to intense brass stings. Electronic touches are often added in these moments too, especially when the mask is mentioned or is actually present in the scene. There's an otherworldly flavour that keeps resurfacing--for example, a tape delay effect is often added to the drums, creating a distinct rumbling that certainly underscores the artifact's bizarre powers and hints at the musical cues to come. When Dr. Barnes dons on the mask and the film switches to its 3-D renderings of his subconscious, the accompanying soundtrack turns sharply into musique concrète--a post-World War II music movement in which electronically manipulated sounds are pieced together and generally presented as an abstract, sonic montage. Advertised as "Electro Magic Sound" in the film's publicity materials, we can assume these sequences are at least partially Schaeffer's performance at his Hamograph--it's impossible to tell exactly where Applebaum's work ends and Schaeffer's begins, as Schaeffer apparently suffered a heart attack and had to leave the film, leaving Applebaum to quickly fill in with his rudimentary understanding of the Hamograph. Once the fog parts and Barnes fully enters the mask's dream world, a bed of stormy, echoing percussion erupts on top of which layers of mechanical roars, grating screeches, human screams and electronic whirs are added, creating a dissonant and even unnerving collection of artfully overlapped sounds. It's the perfectly compliment to the 3-D visuals of the mask's nightmare world, as Barnes witnesses a strange ritual sacrifice, floating coffins and surreal serpent attacks. Even though it may not sound like any nightmare you've ever had, it still provokes the same panic-fueled emotions that can accompany bad dreams, making it far more effective than a traditional score might have been. The decision to use the Hamograph for these scenes was a daring one--this multi-layered attack of electronic noise was virtually unheard of in commercial films at the time, even in sometimes boundary-pushing genre works. Compared to the soundtracks of other 1960s horror efforts, such the moody orchestral leanings of Les Baxter's work on THE PIT AND THE PENDELUM and Bernard Herrmann's homicidal strings in PSYCHO, THE MASK's atmospheric audio patterns are much closer to serious avant-garde electronic music of the period or even Louis and Bebe Barron's pulsating score for the sci-fi classic FORBIDDEN PLANET, which had premiered just five years earlier. And while the Barrons' "electronic tonalities" were shiver-inducing in some of the film's scarier scenes involving similar "monsters from the Id," they don't approach the brute force of spiraling madness that Applebaum and Schaeffer capture here. 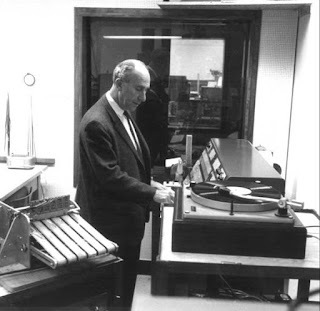 Burdened with heart troubles in the last years of his life, Schaeffer passed away in 1965 without achieving much notability beyond academic circles, although Folkways Records did release some of his recordings and it's said that the Moog synthesizer was inspired by the Hamograph. 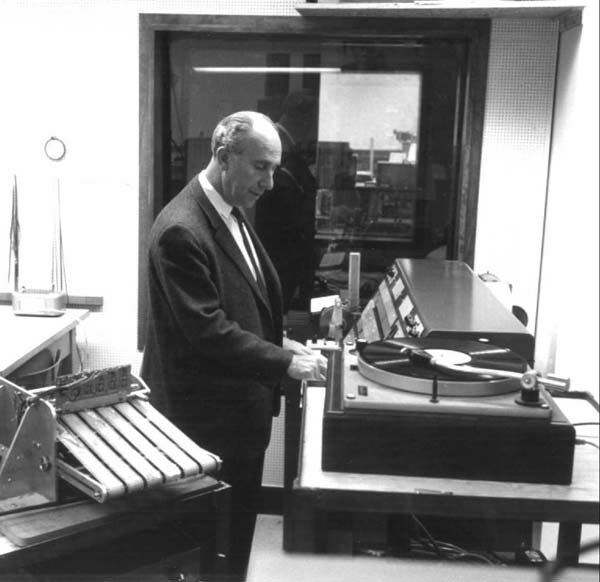 Instead it was Applebaum who carried the mantle for electronic music throughout the rest of his career, later conducting fellow Canadian composer Eldon Rathburn's abstract pieces for the NFB's Labyrinthe pavilion at Expo 1967. Applebaum was awarded the Order of Canada in 1976 and was promoted to Companion of the Order of Canada in 1995, just five years before his death. And while their work for THE MASK remains a minor footnote on Applebaum and Schaeffer's impressive resumes, 50 years later their music for this psychological horror classic remains one of the most effective of any Canadian horror film, using what was then considered cutting edge technology to create a true symphony of our deepest psychological fears. If you'd like to acquaint yourself with the score, why not track back to this post.